A gene module consists of a group of genes that are engaged in the same biological process, for example a metabolic pathway or a protein complex. 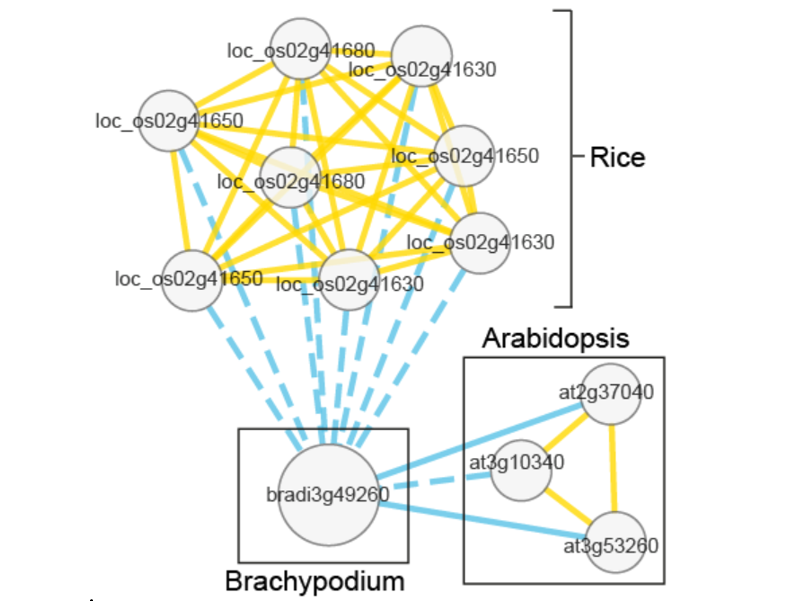 Currently, only less than 20% of all genes in Arabidopsis thaliana have been experimentally assigned to gene modules. The reason is that experimental elucidation of gene function is a time-consuming process. The composition of a gene module can also be predicted by gene expression data. Genes that show a similar gene expression pattern across tissues, developmental stages or environmental conditions are often functionally related and part of the same module. However, the construction of well-defined gene modules relies on extensive data collection not only through transcriptomics but also through genomics, metabolomics, activity profiling and protein-protein interaction networks. Integrating this data through ensemble machine learning and other computational approaches then allows us to predict the functional gene modules. ​A physical interaction of proteins is one of the strongest indications that the proteins and thus their corresponding genes are engaging in the same biological pathway. 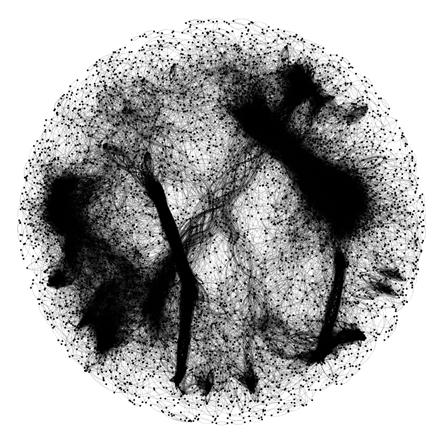 Therefore, a particular focus in our lab is the generation of genome-wide protein-protein interaction networks in different species. With this type of data we can considerably strengthen our gene function predictions.